Sasuke spoilerific review ;) Warning.. incoming blog of Sasuke 30.. if you don’t want to know.. you have been warned ( ^ . 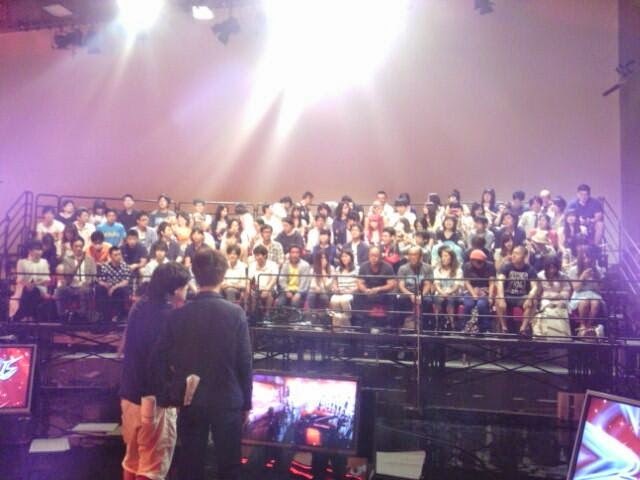 ^ ) (Just remember.. there is NO USA Broadcast of this. 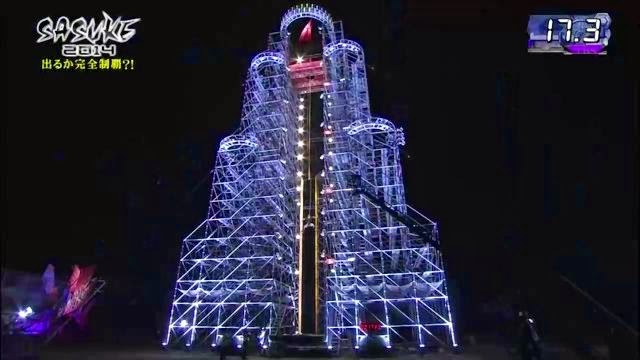 NBC has renegotiated out of their contract to show Sasuke on USA soil. Yes.. you read that right.. Now with the death of G4 official and NBC not giving a damn about Sasuke Japan, we will never see Sasuke Rising on US television (or any overseas country for that matter unless everyone buys the original 4 hour broadcast from TBS). For a preview of this event, please see SASUKE 30 NAVI an hour preview of Sasuke Rising with a review of the Sasuke ASEAN Open Cup and fluff pieces of all the major players in the upcoming Sasuke. 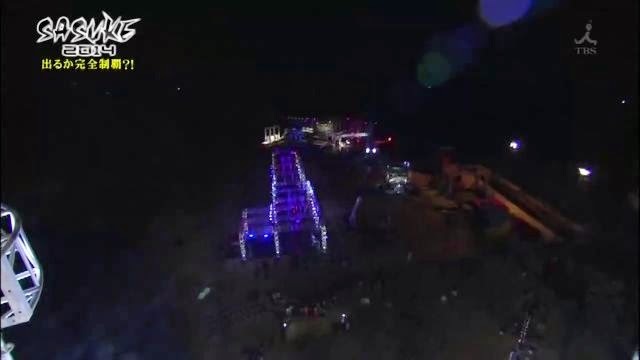 There were even a couple of runs that were cut from the official broadcast! I'm taking my time on the blogs. I'm still getting cluster headaches during the day so I have to pace myself when I do these blogs. 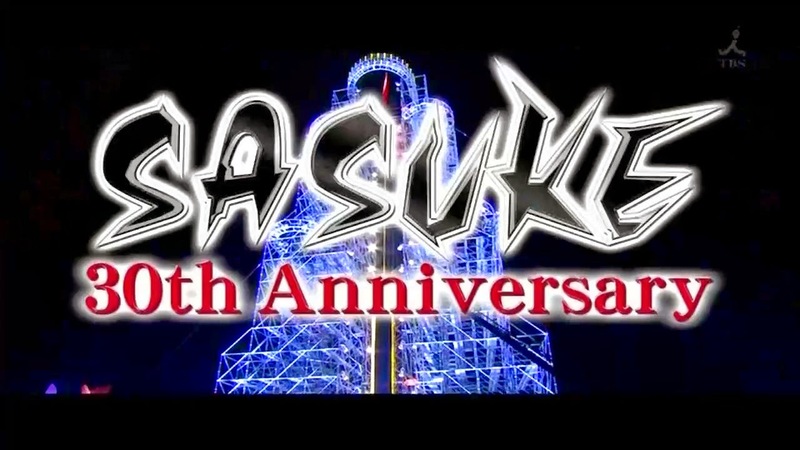 UBE'S LIVE-BLOG FOR SASUKE 30 IS HERE! And we are back! Before I start this was supposed to be during Ryo's 3rd Stage run. The last post was over 200 photos so I didn't want to cram more in and I didn't want to break it up into 2 separate blogs.. so here it is. By this point it was just Shingo and Ryo as Kanno had left. And this was what it's like watching Nico Nico .. stupid comments running across the screen. 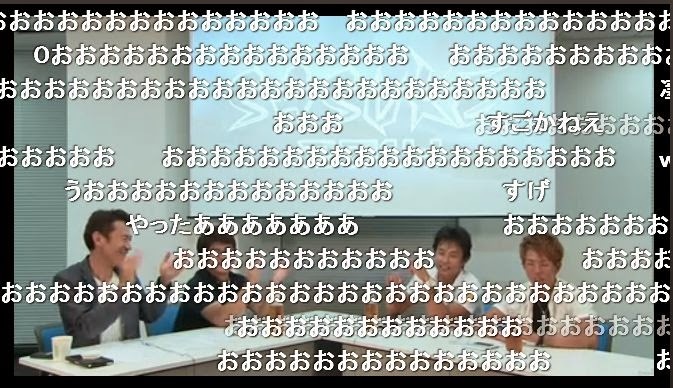 This was their version of Yay when Ryo cleared the Third Stage. 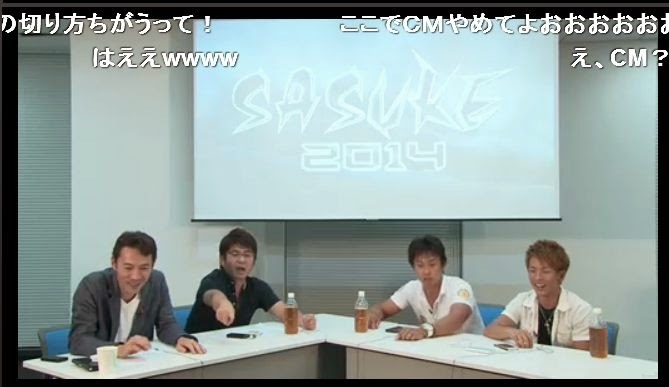 As a reminder on the left is Sasuke Producer Kikuno, Director Inui, Shingo and Ryo. 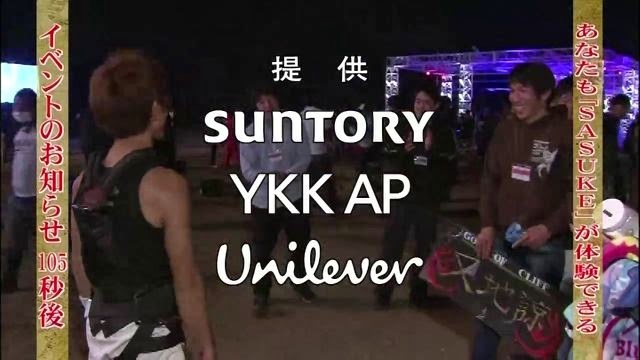 Oh btw they came back just to show commercials... LOL This is when they were setting up Ryo while Tomo was changing shoes. 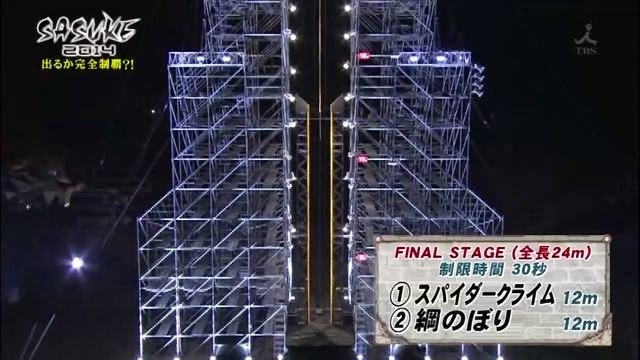 To compare with Sasuke 17's final, the Spider Climb was 12.5 meters (so that was shortened this time around to 12 meters flat) but the Rope was 10 meters (so this version's rope is extended by 2 meters). Both Finals have the same timer at 30 seconds. There's one more important change, but I'll get to that shortly. Time to get all that safety gear on.. what's on his hand..
Father Sugio 杉男 is making sure that they secure him correctly! Oh! The Final Stage name plate is different! I'm still getting used to his new hair! I like it! Fluff piece that has been discussed a few times over. 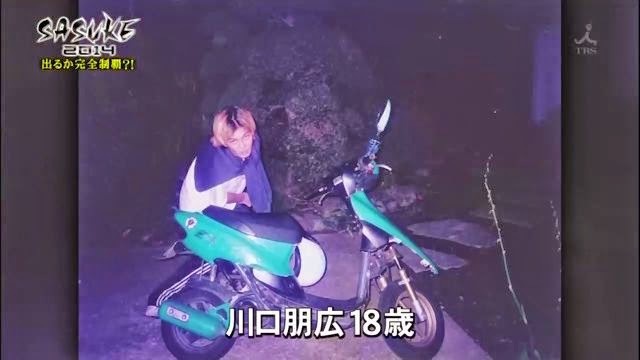 This was him at 18 years old. Father Sugio 杉男 from the same fluff piece. Is he smelling his feet? LOL no he's not just dusting off whatever crap is on it. I found that cute. He's been dreaming of this stage all his life to finally become Champion. 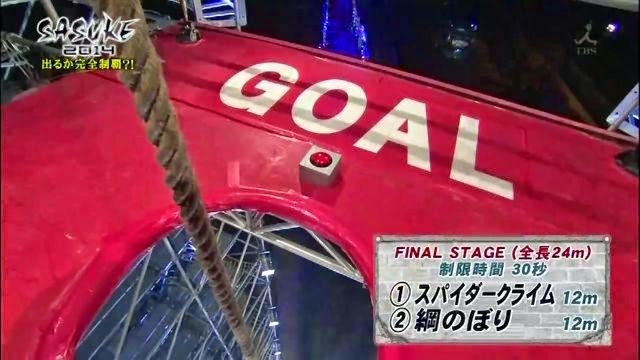 For those who remember, back in the Monster 9 days, you had an All UNCLI Final with Cliffers #3 and #2 at the Sasuke 27 Final Stage. 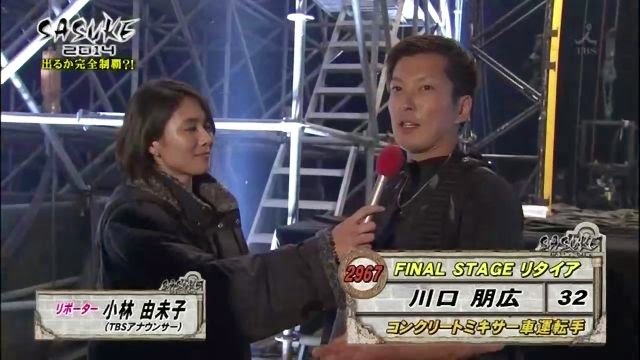 Ryo failed the Final Stage that eventually crowned Yuuji the Champion for the second time. 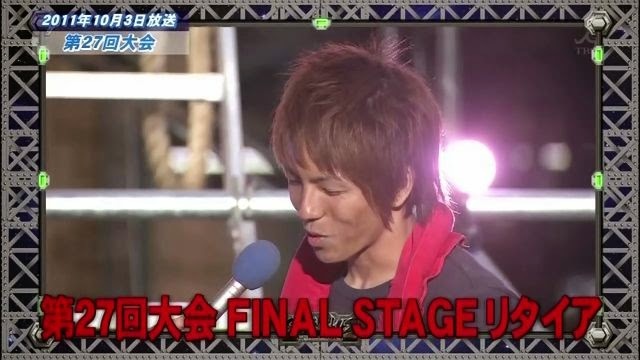 So again, this is Ryo's 2nd Final. A cleaned up boys room! Wow! Glad it's a lot bigger than his old place! Omg the photos.. though I have to admit, I have 90% of these! 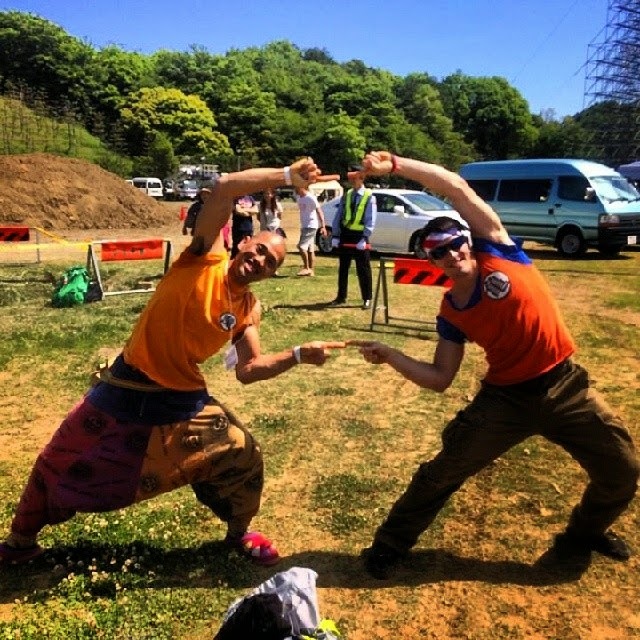 LOL This was from Sasuke 28 from Yuuji's twitter. 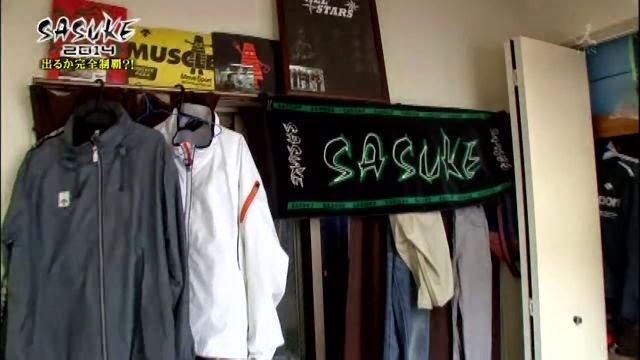 This from the most recent Maguro Festival..
And a Sasuke Shrine it looks like. 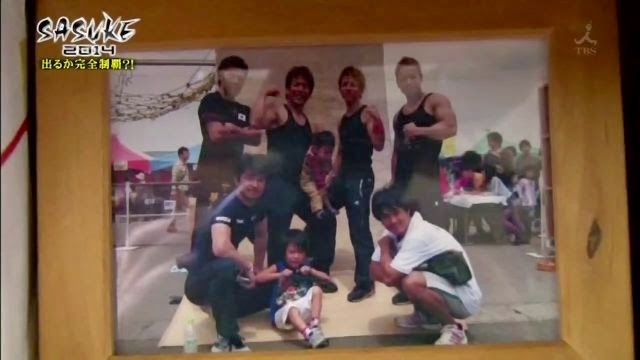 Sasuke certificate from 27's trials I think, posing with Akiyama (covets), him at Muscle Park.. 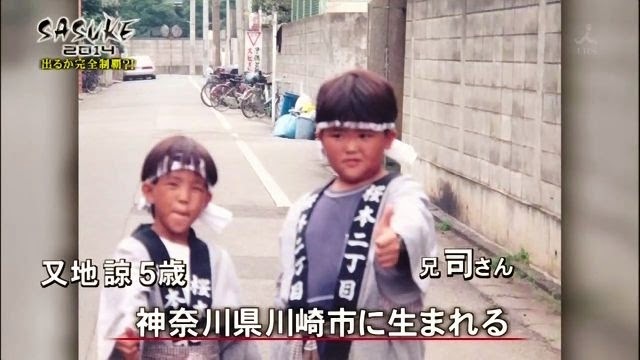 I think in Sendai with the UNCLI shirt, Him with Nagano most definitely from Maguro Festival, forgot which year, and another with his Sasuke saddlecloth from Sasuke 29 where he got #98. So yes, while I cringe to say it, NBC named him correctly.. he's the Super Fan! Looks like a sports fest. 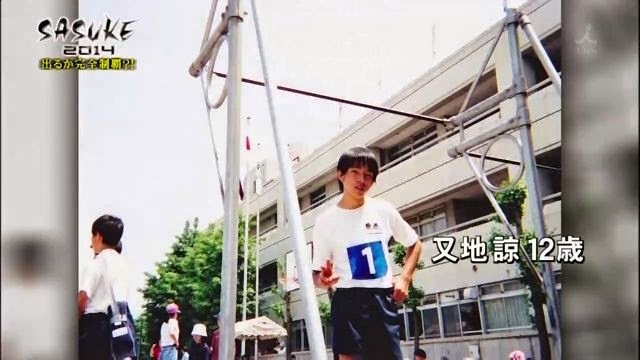 He was 12 years old here. 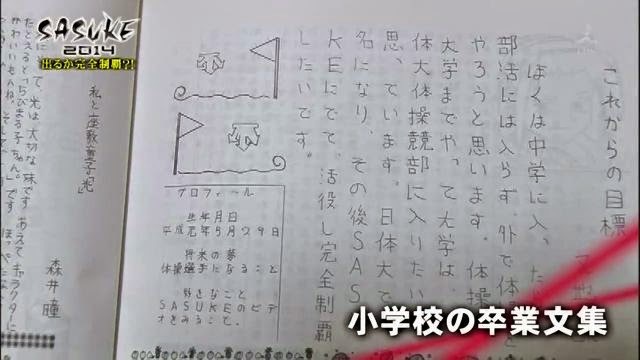 Btw he keeps all of his notes (this was discussed before) when he was a kid where he said he was going to beat Sasuke someday. 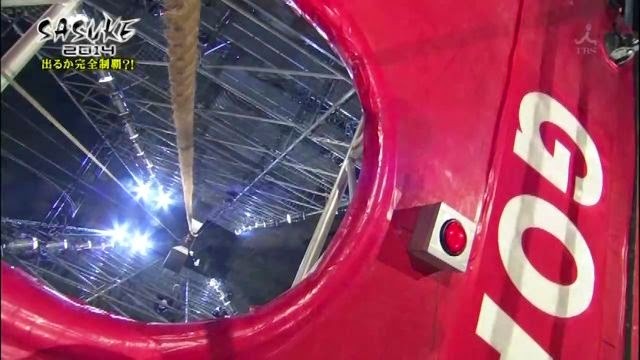 And we get the funky camera angles as they milk the crane rental. Who's cuisine will reign supreme! 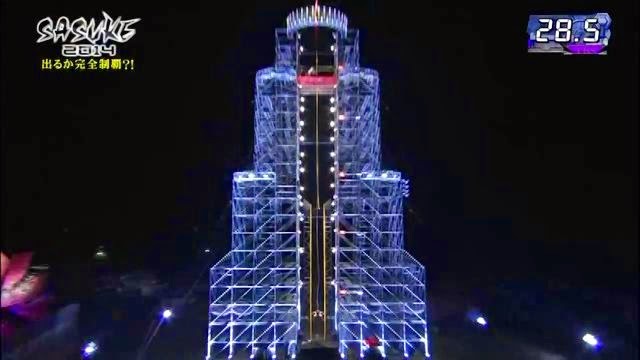 Sasuke 30 gets a Final Stage! View from up top. 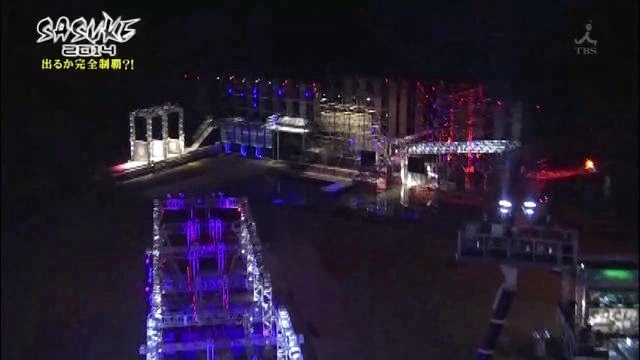 They are saving the electricity bill and not lighting up the First stage (that's the black void on the far right) since this is the 2nd taping day. 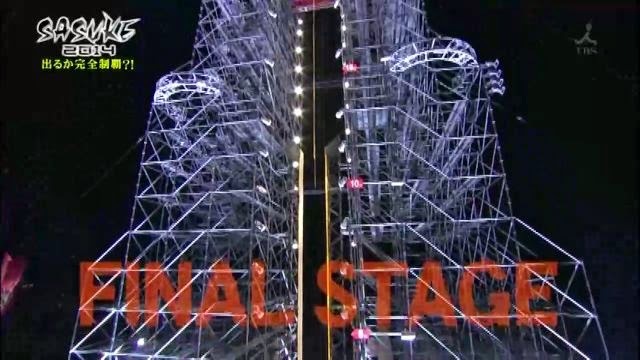 Stage 2 is lit but not on fire and Stage 3, well because they just filmed it. 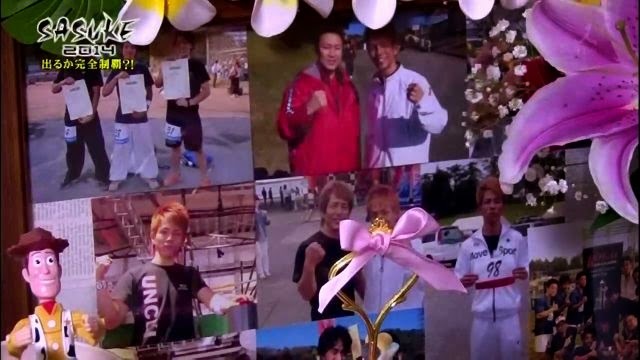 A tradition created by Nagano. And even hugs! Long live PDA! How high is this thing? A quick nod as he makes eye contact with Dad. Wow.. slipping every second.. he's having all sorts of issues..
Time to mention the other important change.. the walls don't come apart. Timer well in red when he's finally on the rope. 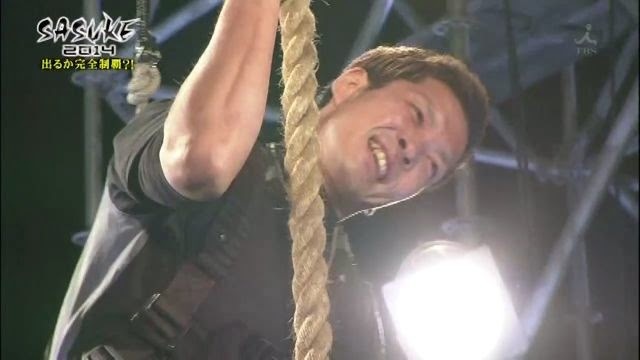 Didn't really get a chance but he looked better on the rope than the Spider Climb walls. A mixture of embarrassment and disappointment. Yeah he was slipping every single time he moved.. I'm surprised he didn't go all the way down in a few of those.. Kudos for actually clearing it! I'm still on the fence on whether the walls should have come apart or not. 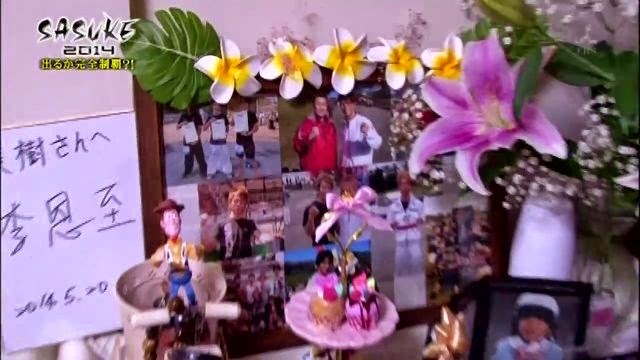 Talking to his family directly. A Concert Handshake™ is when someone does a drive by touching everyone's hands down a row of audience members without truly committing to actually holding someone's hand. Seriously did you NOT see this coming? 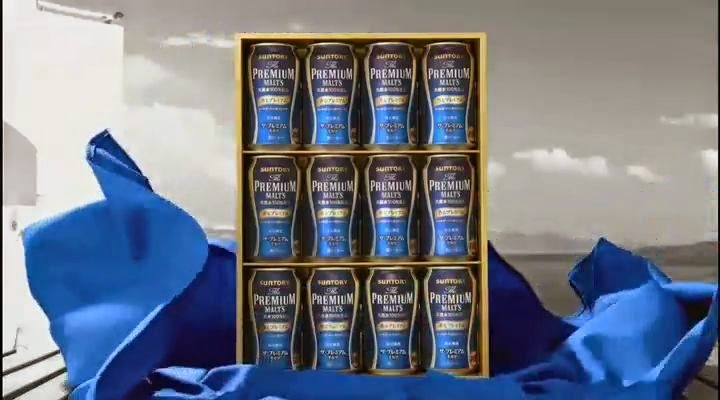 Now a whole CASE of beer! Exactly halfway in distance and exactly halfway in time left! he's trying.. but I don't see it..
Nope.. but better than last time! 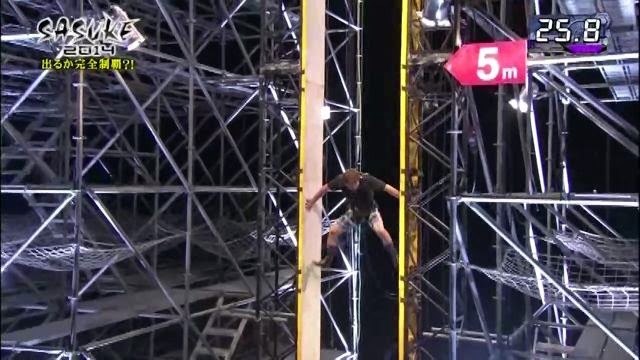 Since the walls are still down there they didn't dramatically drop him from that height. 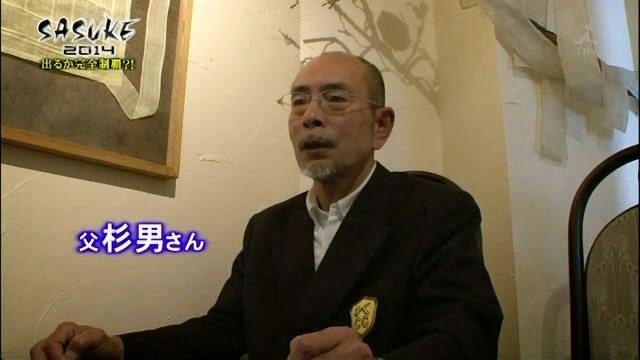 In the past they gave people rope burn (cough Nagano) across the forearms. So cute! He playfully shows .. just. a.. couple.. more.. inches.. almost.. there.. I can.. see it..
And back to the studio! No interview for joo! Not sure what she said..
but it apparently crippled everyone else! Oh wait we are back! 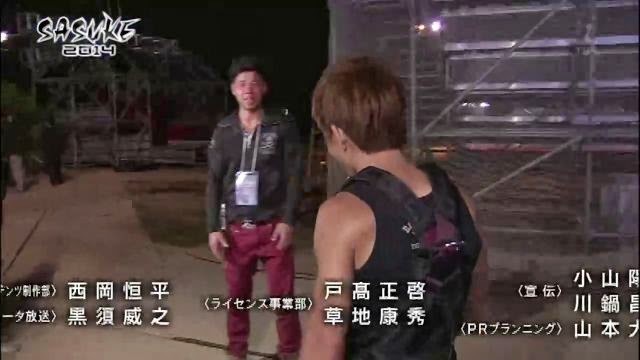 LOL Ryo has rounded shoulders as if he's embarrassed about something..
Awwwwww he wanted a hug! and yes they went to commercial JUST to show this. LOL This is his Mom. And the rest of the guys holding a Cliffer God sign! Okay! Where to start. Overall impression. I liked the tournament a lot! A few critiques but I'll start with this. I liked that TBS used Social media this time around. Social media is free and they can use that to get information out as quickly as possible. This year there were zero Youtube videos though. 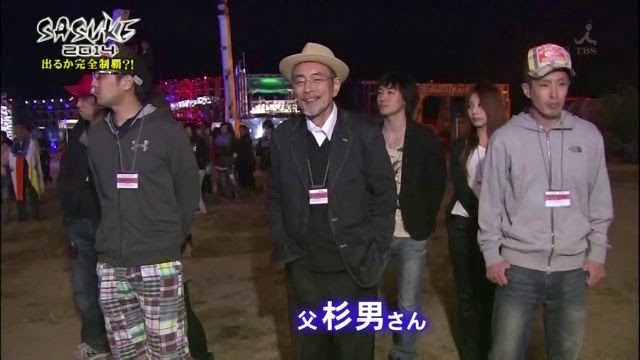 I was spoiled by the previous year's interviews at Midoriyama that were subtitled in English. I wish they had those back. 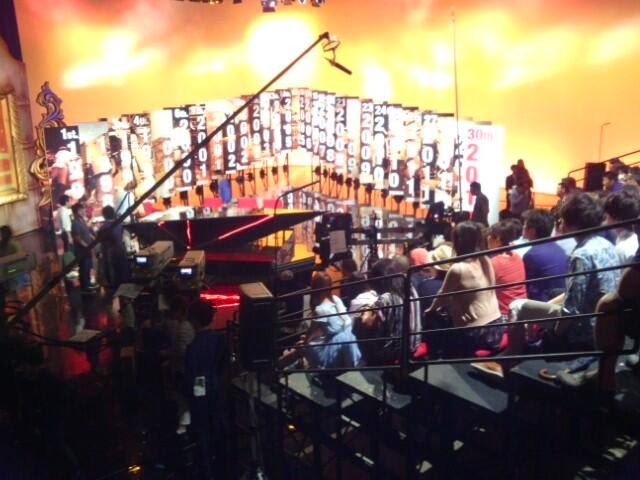 However, they added a lot of fan-centric things like the Nico Nico broadcast. 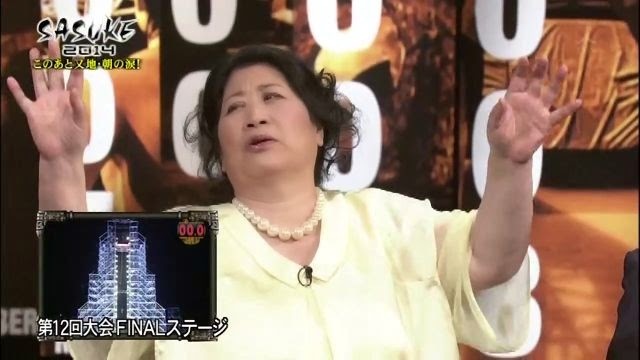 I don't know how expensive this Nico Nico special live broadcast was, but I considered it a success overall. By the end of the Nico Nico broadcast there were 82632 viewers. 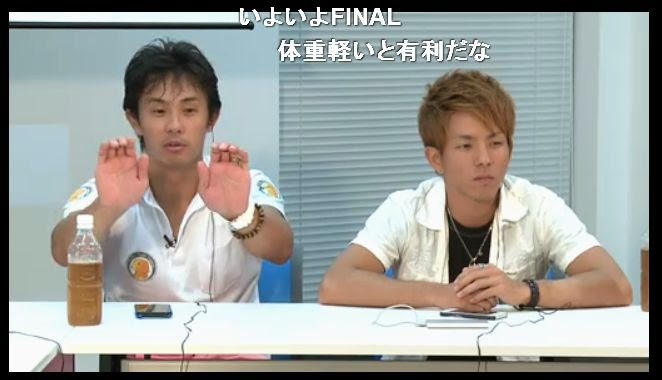 Shingo, Ryo, Inui and Kikuno were there for all 4 hours + 1 hour before talking to fans on the livestream and giving their goofy insights on the show. I only wish I knew Japanese so I could have enjoyed it more. 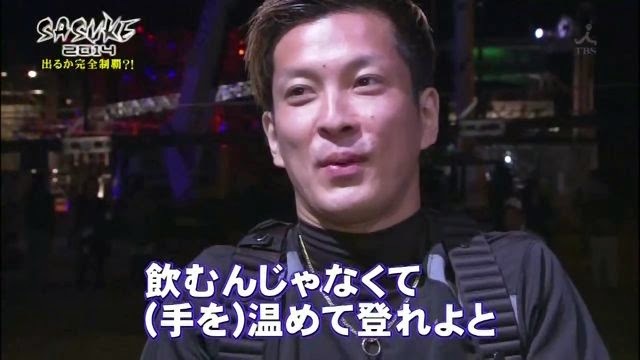 I hope they bring this back in the future, possibly giving some of them a break by rotating guests around (though I can watch Shingo for hours, he's awesome to look at. I mean LOOK at him.. he doesn't need an interpreter! He speaks with his body!). I thought it was a great addition and I found myself splitting my time watching Nico Nico and the live broadcast! (though some of the delay between proved to be epic). They also did a two day event in Lalaport to help get viewers for the show. THIS is where TBS FINALLY understood what I have been yapping about for the past few years. I remember talking to a few people and discussing "people don't know the show is still on" and I got laughed at saying "nah that's not possible.. everyone knows Sasuke is still on". But as the LaLaport event wore on, it became crystal clear that TBS had a lot of work to do. 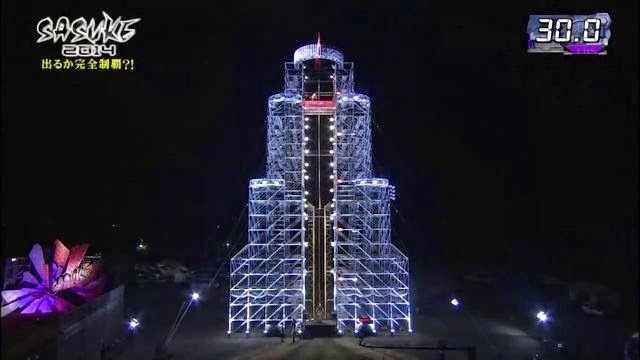 People who saw the random Sasuke obstacles in the parking lot realized "oh that's cute.. they are doing some Sasuke course.. wait.. the show is still on the air? Didn't it get canceled a few years ago?" 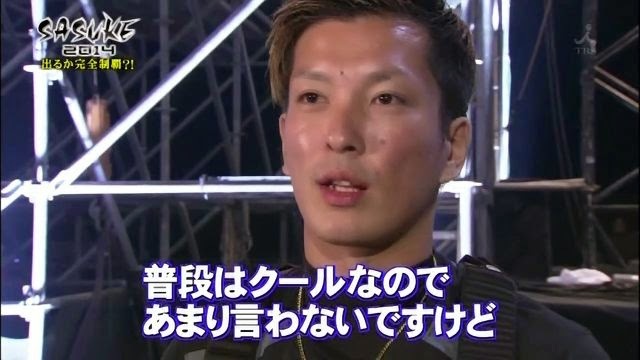 Also, the name "Rising" was confusing people into thinking it was a different show (which is why you only saw "Sasuke 30" this time around by the time the broadcast was shown). 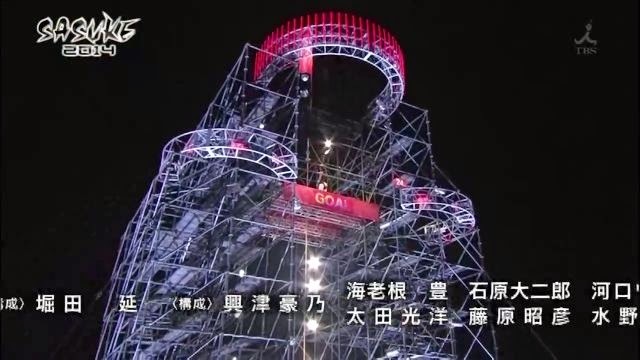 They later added a park event that runs all summer (I haven't blogged about that yet since I've been sick) so at least the effort is there to try to get back into the minds of the casual viewers. As for the broadcast, they got a modest 10.0 rating. Not what they wanted, but at least it was double digits again. Hopefully they will learn from their hands-on experience that people just didn't know the show was on! TBS finally admitted to that fact. One thing of note though, something that is encouraging, is that the ratings went up as the night wore on! That means either by channel surfing, word of mouth or even from Nico Nico chatter, more people tuned in and STAYED watching the show. So unlike in previous years, they are gaining viewers as the program progressed and not losing them. It means the All-Stars are no longer carrying the show! That's good for the show's future! As for the show itself, I had one major gripe. The pacing. OMG the pacing. It's an editing issue and I figured out why this is happening. 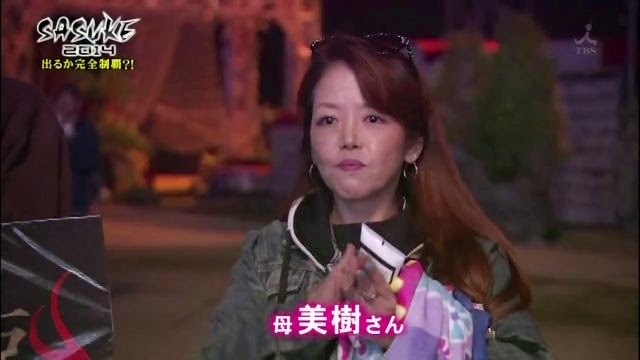 I blame the event that went on in Tokyo Media City. 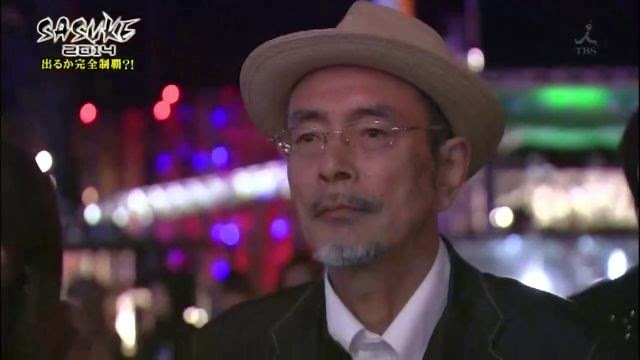 Director Inui spent a month editing the show which turned out to be a LOT longer than the allotted 4 hour timeslot (with commercials) that TBS gave him. 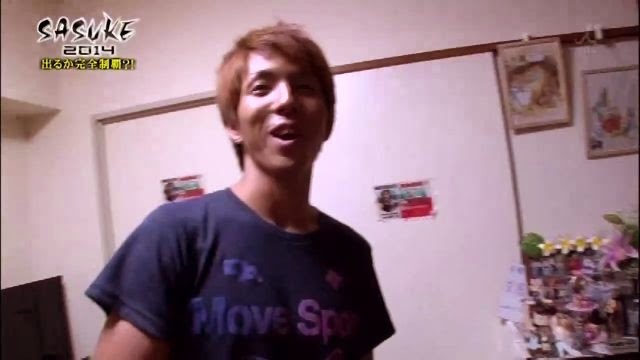 As a result, he took the "Director's Cut" of the first two stages to this fan event the night before the airing of Sasuke Navi. From my own film school classes, you cannot pull stuff out from an extended version without redoing the entire editing process twice. Otherwise you get weird pacing issues and your brain starts to think "wait there's something missing". It's because there WAS something missing. For those who do AMV's or other video editing, just imagine doing a 10 minute video then told to delete half of it.. but when you did it looked off because you paced the pictures to go with your soundtrack? Same thing. Imagine a song being cut into pieces because entire sections were removed. I think that's what happened. 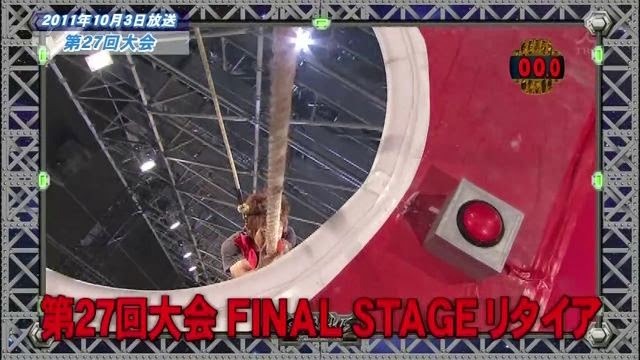 The first half of the show was longer (MUCH longer) and all they did was lift and cut pieces out (which explains what happened to Ishikawa's 2nd stage run and the now infamous Clear Chart™). He literally just deleted ALL of them from the main broadcast because he'd had to edit the whole damn thing down. The problem with it is that the pacing is all wrong. Once you got to the 3rd stage, it settled down didn't it? 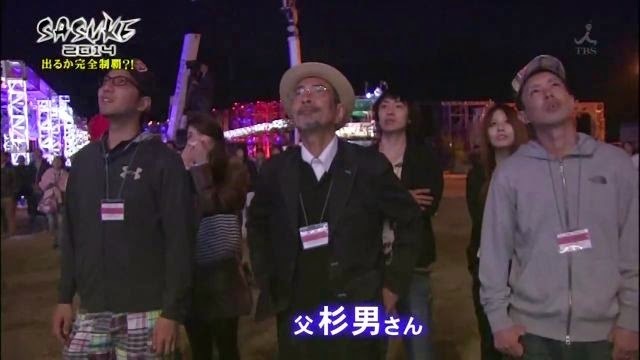 That's because this part of the broadcast was edited only once and not shown in this event at Tokyo Media City. It shows and as for someone trained to watching pacing (I blame film school for that), Stages 1-2 were all over the map. It was jarring at some points. 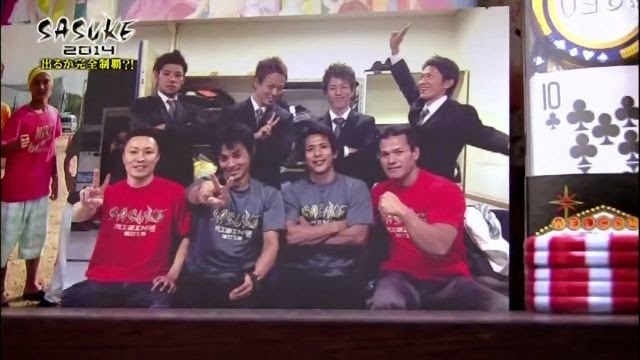 All in all though, I don't blame Inui for cutting the corner. If anyone who follows him on twitter know that he does the entire show by himself. 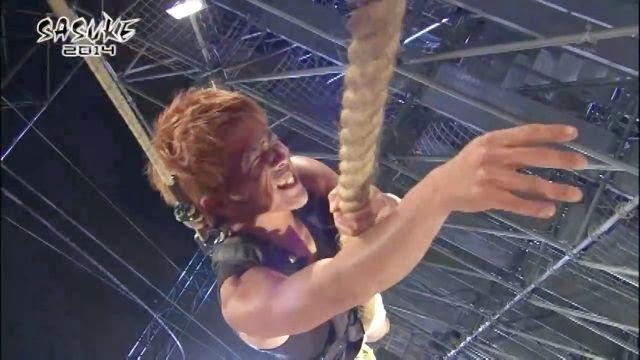 He also does Real Escape TV which had 3 specials running between Sasuke's taping and airing. He also did 2 live sports events and commercials for all of them. Frankly, I don't think they pay him enough. So while it bugged me a lot, I know why he did the shortcut by just lift and deleting until he got the run time to cooperate. In the process though as a fan, this really really bothered me. Honestly though, there's little he could have done given the circumstances since he had to come up with 2 different broadcasts in a very short amount of time with literally no help. 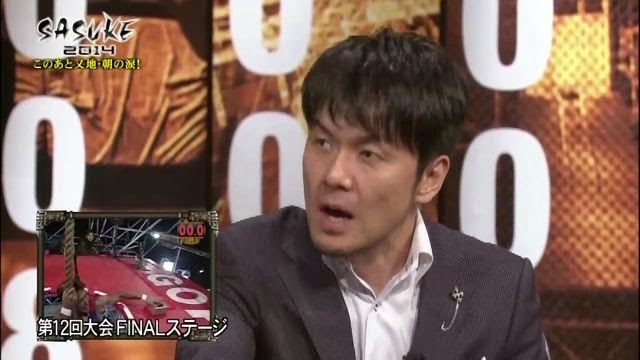 (Fan viewing and main broadcast).. oh wait.. he also had to edit the Sasuke ASEAN Open Cup footage which wasn't even supposed to be broadcast by TBS. So he last minute had jerryrig a competition he didn't even direct or record.. he had to rely on someone else's footage. That's a nightmare for an editor..
As for components (other than pacing), this marks only the 2nd time I spend a lot of time complaining about Stage 2. Instead of rehashing what I did before, the synopsis is.. reboot Stage 2. Throw everything out and start all over again. We already had 2 finalist, 9 guys in the 3rd stage, it's okay to get rid of stage two. Seriously. It's more trouble than it's worth to bring back glitched or controversial obstacles. So long as the obstacles are fair to everyone and they work properly I'll be more than happy to welcome them. I want to go back to discussing people and not obstacles. That's why I watch Sasuke. NOT to complain about inanimate objects. 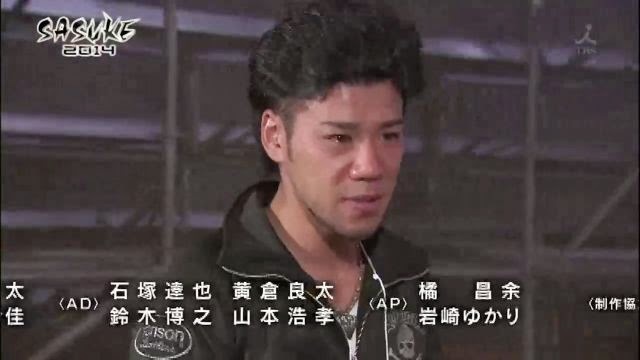 Oh and for the love of everything holy.. STOP CUTTING SHUNSUKE NAGASAKI.. okay got that out of my system. Anyway... really really really want to thank a few people (and yes a lot of this is cut and paste but frankly I can't reword this again). Anyway, Lost in Ube for oh geez.. the list is so long. Outside of my inspiration for even blogging in the first place back when I found Sasuke and found his blogs back in 2007 he's been a great online friend whom I can watch Sasuke and use candor and humor when watching without people hawking my every word :p And then of course his Live blog which I abuse constantly when creating my own. I honestly believe a lot of people really don't realize how hard it is to do these things (especially his live blog). He also painstakingly translated all 97 names for us and was there to answer questions when couldn't out a few things as the tournament was ongoing. VxJasonxV for my personal stream :) that was provided from his paid subscription of whatever was the new company that took over for WIST. I think their name was Dyasomething... Thanks to the streamers blt and anshinritsumai that helped our community see the event and providing a clear copy of the tourney for the blog and the community. Thanks to Jams for finding the HD.. That copy (along with Jason's for the commercials/pacing) I used in the end since I was taking so long to start the blog. Thanks to the SMF community for being patient when I FINALLY got the blogs up and for READING them! Thanks to my very loyal Rambling Rican readers whom always amaze me when they come back! LOL I'm happy people find enjoyment in them as much as I enjoy creating them. I'm ecstatic more people have used my blog as an introduction to such a wonderful show and it makes it even more worthwhile when I know my fangirling is actually to good use! I'm excited to see our small group grow to literally thousands around the world banding together to watch this show through tiny computer screens that often crash. Thanks also to those same supporters that suffer through the new trolls.. LOL I'll be careful to not feed them.. Didn't think after all these years I'd still be doing this and enjoying it. Ya'll have made it worth the while :) It's now 6 years and still going! I can't believe how fast time is flying. So long as this continues to be fun and the Sasuke format doesn't change I'll continue to write. I appreciate all of the support I've been getting the past few years and especially this past month. It's been.. rough. 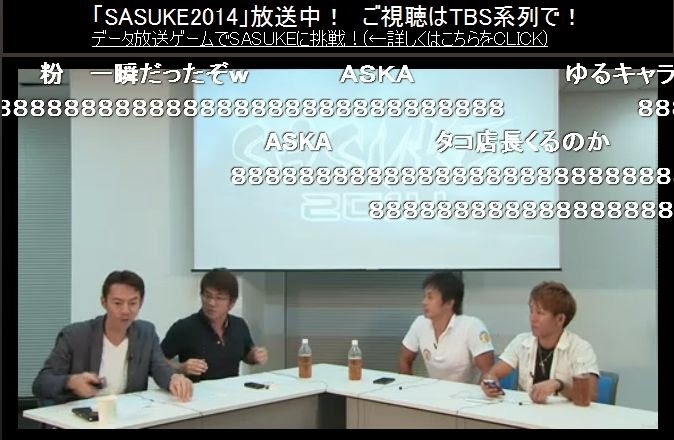 Glad to hear that TBS is finally admitting what we've known for a while: that Sasuke is just not that known anymore. Now that they realize that, they should put a lot more effort into publicity. I agree about the second stage needing a reboot at this point. 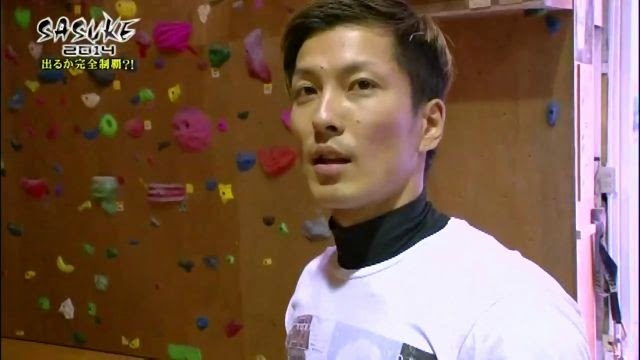 Finally, if he works on his Spider Climb technique, I can easily see Tomohiro Kawaguchi achieving kanzenseiha. I need to do a real comment on this, but a) if Ryo ever wins with those shoes, I hope there's no shoe controversy a la Yuuji in 24 considering what type of shoes they are (and, yes, I know that was bull back then since that's what everyone had on) and b) I can't remember what button it is, but you can turn off the Nico comments and just get a clean screen (thank all that's holy for that! I know that's what makes Nico different, but it's annoying, imho.). 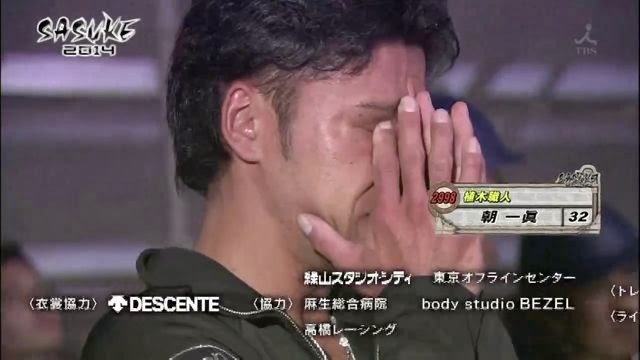 Poor Ryo... if anyone deserves to win, it's him. I had been thinking he would have no trouble on the 3rd stage if he could clear the stupid Backstream and still have enough left for the walls. 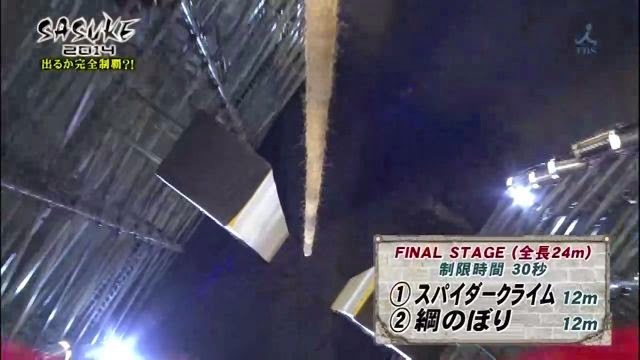 When I saw everyone whiff on the Crazy Cliffhanger in SASUKE 28, I immediately thought of Ryo, since he had made the UCH look simple back in SASUKE 27. That said, so did Yuuji, but I still had high hopes for Ryo if he ever returned to Stage 3. I kind of figured, though, that this final wasn't really suited to him. 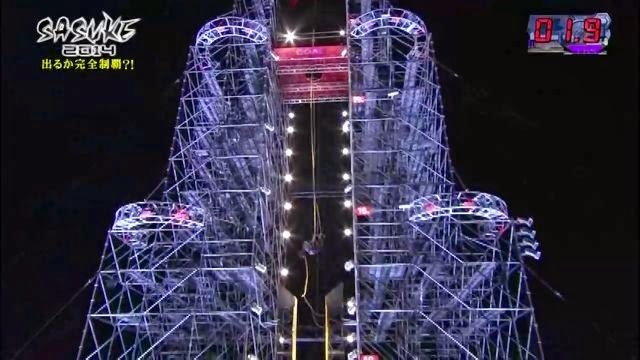 He didn't strike me as someone well built for the Spider Climb. Granted, he proved me wrong, but I wasn't expecting him to clear. Just didn't have enough left. Hope he can make it back there in SASUKE 31. He'll have a much better chance at doing just that if they revamp the 2nd Stage. Aside from the walls and the Cross Slider, I don't much like any of the obstacles. Bring back the Metal Spin, get rid of the pool. I don't have such an issue with the Spider Drop, but I'd like to see something with more of a capacity to fail, not a time waster. 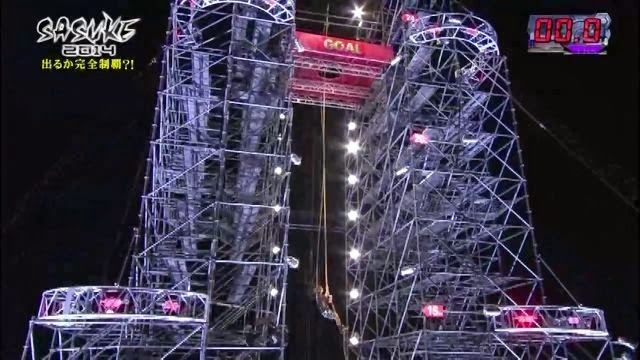 As for the Swap Salmon Ladder and the all-too-stable unstable bridge, I say cut them both. I had an idea for a salmon ladder where you go up one side and down the other. I got the idea from an early blog, where Takeda jumped down the rungs on a Salmon Ladder replica. Awesome work on the Final Stage and the overall thoughts on this. 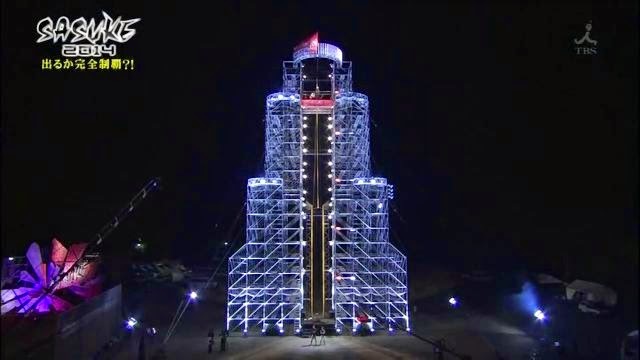 It did feel like the pacing was off with so many fast forwards, especially when dealing with the cutting of 2 competitors that have been strong draws from before (Shunsuke and Lee). Hopefully this will be fixed in the next tournament. As far as TBS needs to be mentioned....ABOUT FRIGGIN' TIME!!! After all is said and done, this is a good tournament, but thankfully, with a new company and all behind the scenes, we can get much better results. I know this is a little late but overall this was a really enjoyable tournament. My major gripes were all the cut and digested runs and of course stage 2, but not as much as 29. 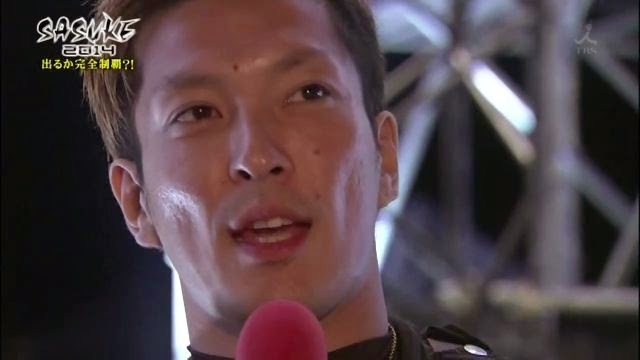 Tomohiro has been my favorite for a while know and i was so happy for him. Usually he would have great runs but then make a dumb mistake like 21 or "yuujiing" the unstable bridge or fail at the very end of stage 1. Also, think this final stage is so tough that it is going to take multiple attempts by someone to pass. I also think all things considered Ryo has a really good chance.